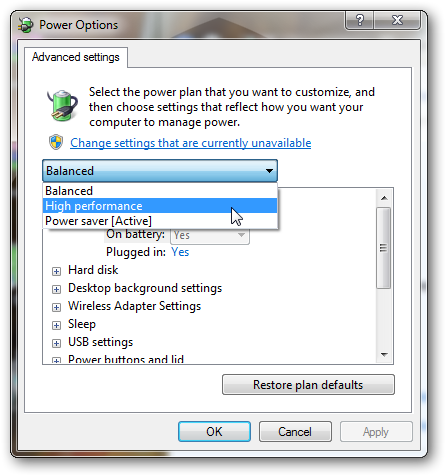 Some branded laptops show only two power options in Windows 7 : Balanced and Powersaver. The High performance options can not be found! 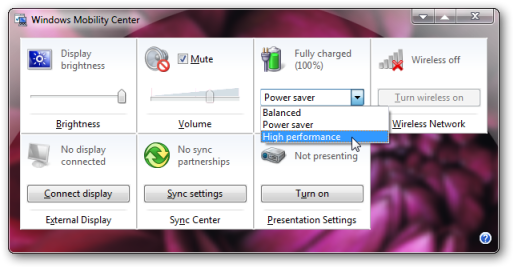 This tutorial shows, how you can easily enable this high performance power option in all Windows 7 laptops. 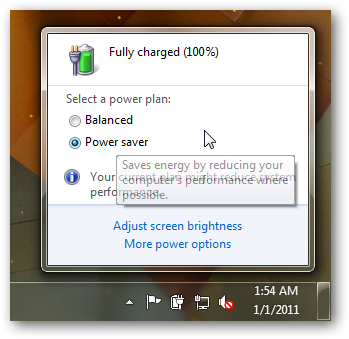 Here is an easy way how you can enable this High performance power option in Windows 7 laptops in one single step. Do not think too much for the lost option. You can get it back again by pressing Windows key and X key from keyboard and launching the Windows mobility center. This Article Has Been Shared 474 Times! Not only fixed size resizing, but you can resize the Windows 7 desktop icons to any custom size icons, without using any software. If you follow this tutorial, you will be able to create a toggle desktop icon anywhere under Windows explorer in Windows 7. After following the tutorial, you can easily add the registry editor in the control panel of Windows 7. If you do not use the search function in Windows 7 too often, you can disable the file indexing. Here is how you can disable file indexing completely. Add a toggle Show Hide file extension with a custom icon in Windows 7 right click context menu following this trick. Resources needed are available as free download too. 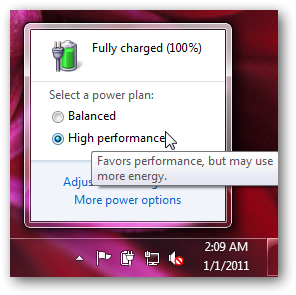 Cite this article as: Abhishek Ghosh, "How to enable High performance power option in Windows 7 laptops," in The Customize Windows, December 31, 2010, April 18, 2019, https://thecustomizewindows.com/2010/12/how-to-enable-high-performance-power-option-in-windows-7-laptops/.